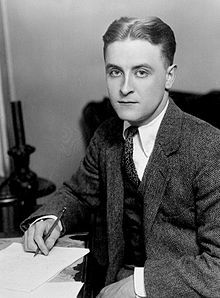 F. Scott Fitzgerald (1896-1940) was born in St. Paul, Minnesota. Upon graduating from Princeton, he served in the Army and worked briefly in advertising. He married his wife, Zelda, in 1920, a week after his first novel, "This Side of Paradise," was published. His works, considered by many to be classics, include "The Great Gatsby," "Tender is the Night," and the uncompleted "The Last Tycoon." He died of a heart attack at the age of 44. The following is a personality profile of F Scott Fitzgerald based on his work. F Scott Fitzgerald is heartfelt. He is empathetic, he feels what others feel and is compassionate towards them. He is calm under pressure as well: he handles unexpected events calmly and effectively. But, F Scott Fitzgerald is also calm-seeking: he prefers activities that are quiet, calm, and safe.